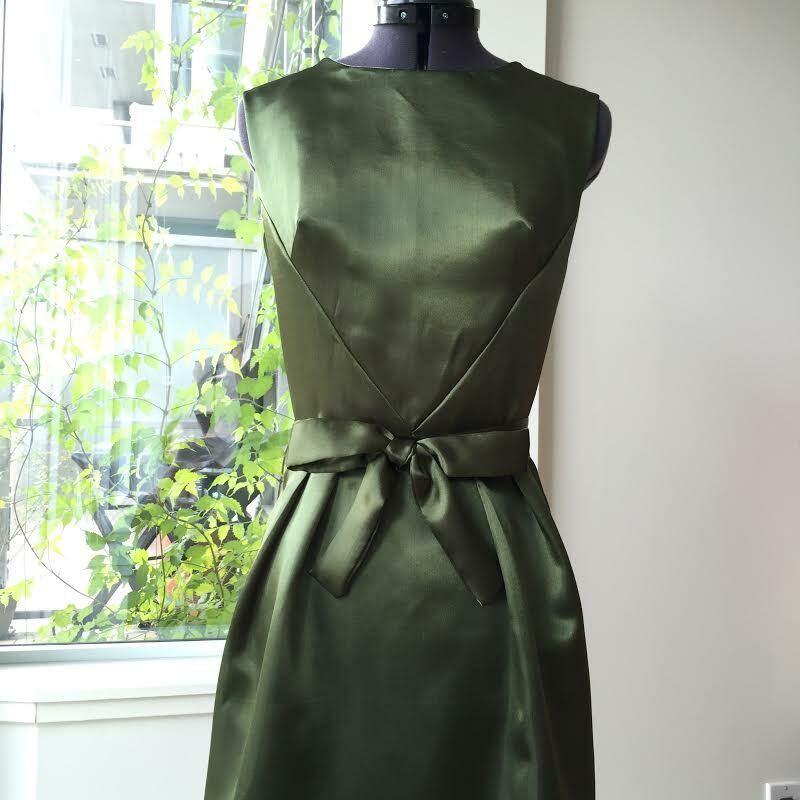 Here’s a cocktail dress I finished back in July (time flies!). 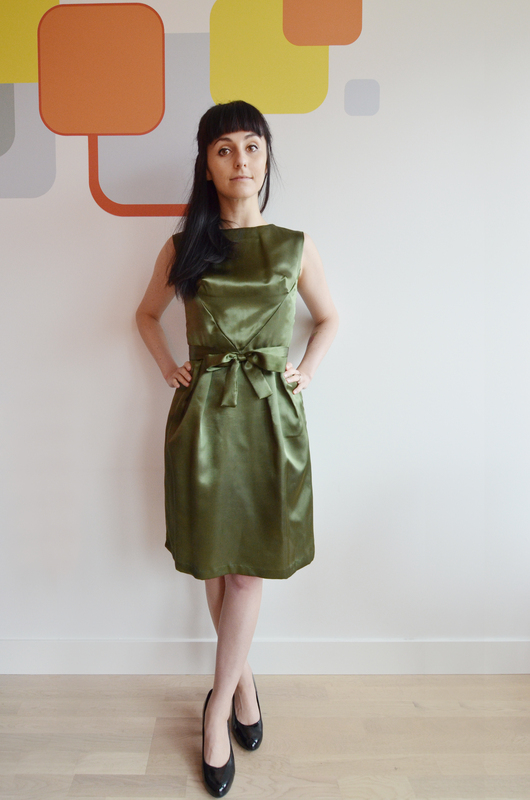 I’ve worn it only once because the otherwise lovely olive satin gave me an allergic reaction! I had underlined the bodice with a cotton voile, but didn’t bother making a slip. Well, lesson learned! I’m not super happy with the fit in the bust area, but I really love the V shaped bodice and I think the dress turned out pretty well overall. I see what you mean about the fit in the bust. 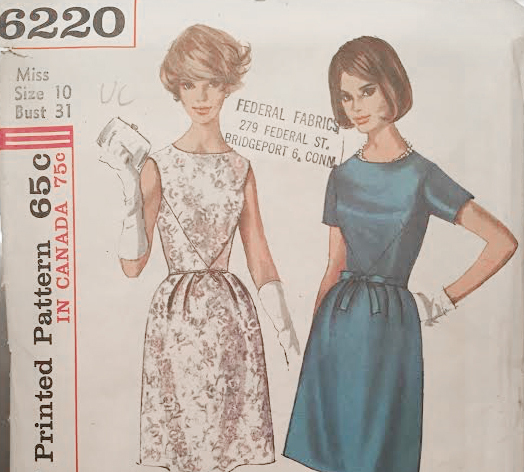 Sometimes it’s just hard to get it right, though, especially with vintage patterns and designs. Oh well. It’s still a beautiful dress!